The Gilded Age: Treasures from the Smithsonian American Art Museum, on view at the Iris & B. Gerald Cantor Center for Visual Arts at Stanford University from March 28 to June 17, 2001, captured the brilliance of turn-of-the-century society and a new current of sophistication in America. 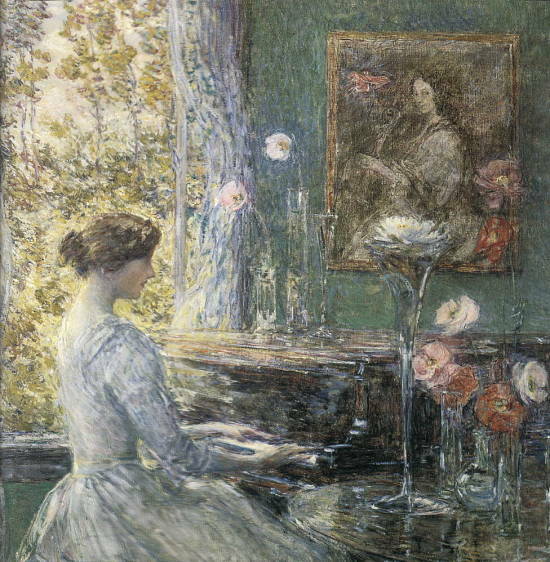 The exhibition includes 60 major artworks by the most important artists of the day, including Childe Hassam, Winslow Homer, and John Singer Sargent. "Great ambition characterized this period in America," said Elizabeth Broun, director of the Smithsonian American Art Museum. "Artists and patrons rose to new heights, as the 1876 Centennial engendered a strong sense of national pride and eagerness to match Europe's aristocracies." The Gilded Age: Treasures from the Smithsonian American Art Museum was one of eight exhibitions in Treasures to Go, touring the nation through 2002. Mark Twain wrote a popular novel in 1873 in which he described the period, The Gilded Age, as America's "golden road to fortune." He contrasted the shallow materialism of the turn-of-the-century with the golden age of Greece. 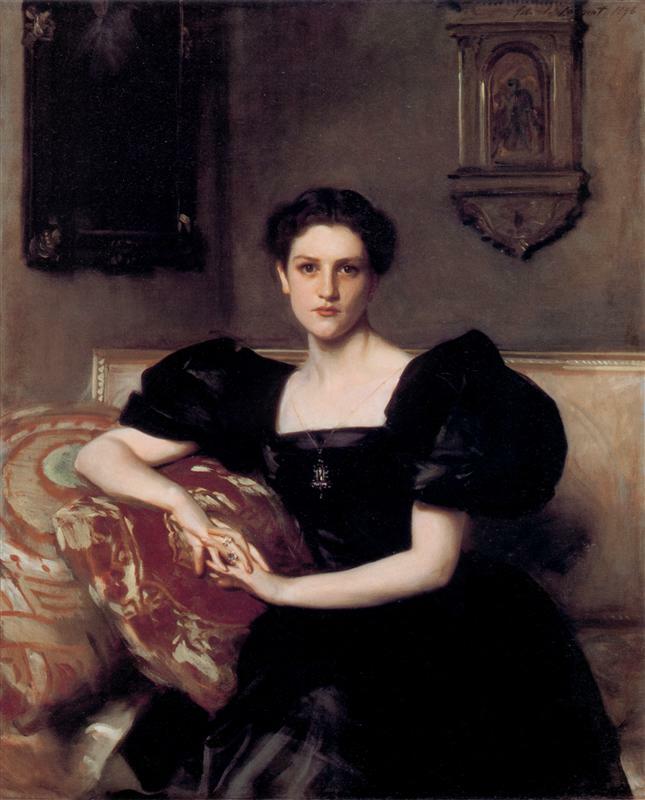 The Gilded Age, more than any other time in America, pointed to European ideals of aristocracy and patronage with a heretofore unknown collaboration between wealthy American patrons and artists. whose family was heir to John Jacob Astor's fortune, in his London studio, flanked by old master paintings. Man with the Cat (1898), resplendent in a white suit and pink shirt. This was also an international age, when artists and their patrons traveled widely to visit exotic cultures. H. Siddons Mowbray's intimate Idle Hours (1895). Vast fortunes amassed during the Industrial Revolution led to a wave of elegant townhouses, and these were settings for fine collections and decorations. Apollo with Cupids (1880-82), a decorative panel by Augustus Saint-Gaudens and John La Farge, once adorned the dining room of Cornelius Vanderbilt's Fifth Avenue mansion in New York City. The work is lavishly embellished with African mahogany, hammered bronze, colored marbles, mother-of-pearl, and ivory. American sculptors mastered the art of bronze casting during this period, learning to use its sleek surfaces and rich patinas to great decorative effect. Twelve bronzes were in the exhibition, ranging from Daniel Chester French's patriotic and restrained Concord Minute Man of 1774 (modeled in 1889) to Adolph Weinman's moody Descending Night (modeled about 1915) and exuberant Rising Sun (1914-15). The most famous sculptor of the period was Augustus Saint-Gaudens, represented in this exhibition by several works, including an early model for the Diana (1889) that once graced the top of Madison Square Garden in New York. Four rare paintings by the visionary artist Albert Pinkham Ryder were in the exhibition, each a story of betrayal and redemption based on literary sources. 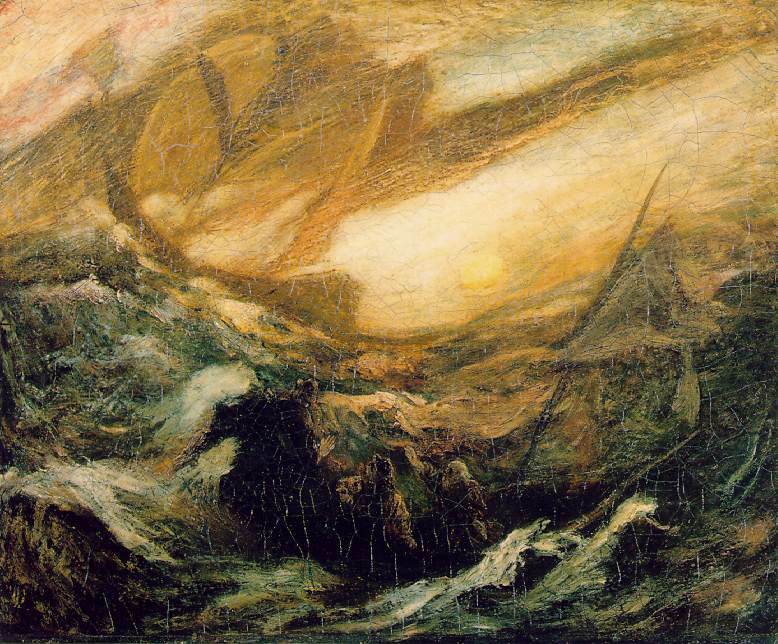 portrays the legendary "phantom ship" with the glowing color, dramatic composition, and complex layered painting technique that made Ryder a favorite among collectors. The same complex technique causes his paintings to be unusually fragile, so the museum rarely lends his works. Special humidity-controlled packing and shipping technology allows these works to be shared throughout America. Winslow Homer, like Ryder, probed beneath the glitter of the Gilded Age to explore undercurrents of anxiety. High Cliff, Coast of Maine (1894) is among the greatest of Homer's late seascapes, filling the canvas with waves pounding on a rocky shore. The opposing forces of nature resonated in a society struggling with economic instability, labor unrest, and controversial new theories of Darwin and Freud. in which a mother keeps watch as her son hovers between life and death. and Thomas Dewing's allegory of Music (about 1895), where a prevailing gold palette evokes a musical tonality. Overall, the ambitions of individual artists and patrons, and of the nation at large, combined to make the period of the 1870s through the 1910s an era of enormous achievement in the visual arts. An illustrated gift book The Gilded Age: Treasures from the Smithsonian American Art Museum, authored by Elizabeth Prelinger and co-published by Watson-Guptill Publications, a division of BPI Communications, accompanied the exhibition. The book includes fifty color illustrations with short discussions of each artwork. To commemorate the 100th anniversary of the death of French artist Gustave Moreau (1826-1898), The Metropolitan Museum of Art presented a major exhibition fom June 1 to August 22, 1999.It was the largest retrospective of Moreau's work ever shown in the United States — featuring masterpieces from every phase of his distinguished career. Gustave Moreau: Between Epic and Dream included nearly 175 works — some 40 paintings and 60 watercolors in addition to drawings and preparatory studies, lent primarily from the Musée Gustave Moreau in Paris, with other works drawn from public and private collections in Europe and America. 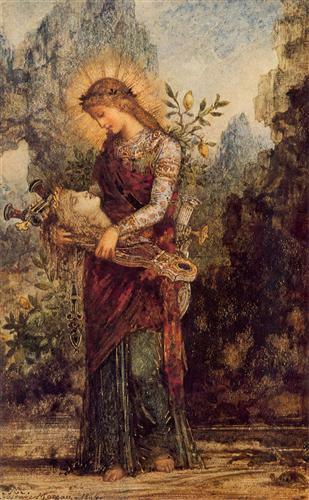 Best known for his mysterious and complex allegorical paintings based on classical, literary, and biblical sources, Moreau was much admired in his own day. His fantastic, dream-like imagery and emphasis on the personal and intuitive nature of artistic creation profoundly influenced later 19th- and 20th-century artists — not only his students Georges Rouault, Albert Marquet, and Henri Matisse, but also the Symbolists and Surrealists. Spanning 50 years of this remarkable artist's career, the exhibition included the majority of Moreau's most celebrated Salon paintings, as well as many watercolors and drawings that had not previously been exhibited or even published. The exhibition was organized by The Metropolitan Museum of Art, the Réunion des musées nationaux, and The Art Institute of Chicago. 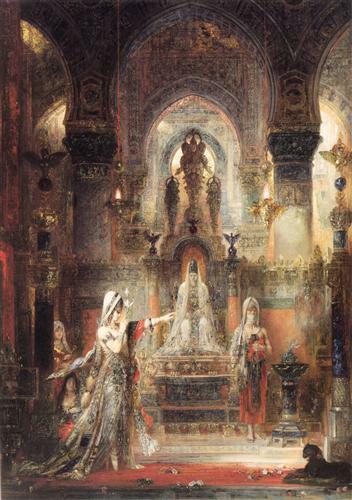 Organized chronologically, Gustave Moreau: Between Epic and Dream clearly revealed an extraordinarily original and imaginative artist who, free from financial constraints and concerns of the marketplace, was able to pursue his own artistic vision. Unlike many of his contemporaries, Moreau was less concerned with the external visual world than with profound and hidden truths; these he often sought in the realm of imagination and dreams. He was not "a painter of modern life" — the Impressionists' mandate — but of traditional subjects and enduring universal themes, which he reinterpreted in unique and novel ways. A man of elegance and erudition, Moreau reinvigorated the tradition of history painting by adding a new, imaginative, and poetic dimension to it. His mysterious and evocative treatment of classical mythology and religious subject matter inspired many late-19th-century Symbolist painters and writers. Later, Surrealists such as André Breton found strong encouragement in Moreau's fearless declaration that "I have allowed my imagination free play, and have not been led astray by it." Like other artists and writers in the mid-19th century, Moreau found the culture of his time to be overly materialistic and indifferent to religion and art. He looked to the art of antiquity, the Middle Ages, the Italian Renaissance, 17th-century France, and non-Western cultures to develop a form of expression that offered spiritual guidance in what he believed to be an age of confusion. He traveled to Italy for a prolonged trip in 1857, where, alongside his friend Edgar Degas, he copied the pictures in museums and churches. While works of the Italian masters left a lasting impression on Moreau, his art continued to evolve in unpredictable directions. His early paintings are imbued with the beauty and passion of Romantic art, while those of the 1860s and 1870s make epic statements by fusing classical erudition with ever-increasing technical mastery. In these works, the dramatic overtones of Romantic painters such as Delacroix and Géricault are deftly combined with the exquisitely precise draftsmanship of Poussin and Ingres. Also evident in the artist's richly textured canvases and watercolors are the intricately detailed surfaces and shimmering fabrics that betray his admiration for the exoticism and precise rendering seen in Persian and Indian miniatures. — were the centerpieces of two special dossiers within the exhibition. 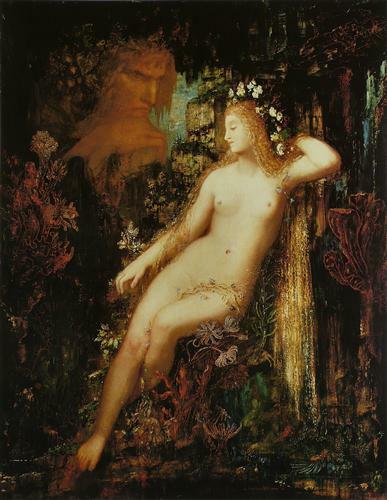 Oedipus and the Sphinx established Moreau's artistic reputation when it caused a sensation at the Salon of 1864, earning a medal for the artist. The large-scale painting, which depicts an intense moment of confrontation in the Greek myth, also has a more universal interpretation, as Moreau explained: the moment when "a man of mature age wrestles with the enigma of life." The exhibition placed the work in the context of more than 20 preparatory drawings and watercolors, as well as several caricatures after the picture, revealing Moreau's development of the composition and the public's reaction to the painting. Salome — on view in the same gallery of the exhibition — was the focus of a dossier that features nearly 40 paintings, watercolors, and drawings that include life studies of models, compositional sketches, drawings of snakes from life and scientific texts, tracings, and cartoons. Many of Moreau's late works may well surprise viewers to the exhibition. These paintings and watercolors from the late 1870s, '80s, and '90s reveal the artist as one of the first to explore the expressive qualities of color in what appear to be abstract compositions. 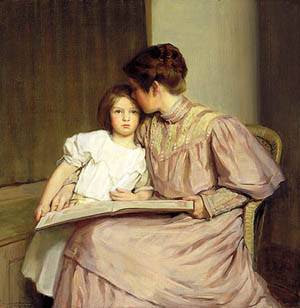 Generally conceived as color studies or sketches in preparation for other paintings, these works were never exhibited or sold during the artist's lifetime. Since they were first encountered by audiences in retrospectives held in the early 1960s, these works have been the focus of considerable discussion, particularly in terms of defining Moreau's potential relationship or perceived affinity to 20th-century artists, such as Jackson Pollock, Clifford Still, and other Abstract Expressionists. 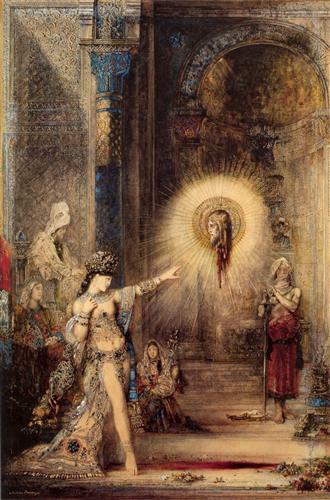 Gustave Moreau: Between Epic and Dream was accompanied by a catalogue. Published by The Art Institute of Chicago, the 320-page book features 291 illustrations, including 162 in color. At the Metropolitan, the exhibition was organized by Rebecca A. Rabinow, Research Associate, Department of European Paintings. The exhibition premiered at the Grand Palais, Paris, and was also on view at The Art Institute of Chicago prior to the Metropolitan's presentation. Some 50 Impressionist and Post-Impressionist paintings and drawings that had never before been lent from the Musée d'Orsay, Paris, were the centerpiece of an exhibition devoted to the extraordinary art collection formed by Dr. Paul-Ferdinand Gachet (1828-1909), the physician who cared for Vincent van Gogh in the months prior to his suicide in 1890, and who was immortalized in several renowned portraits by the artist. 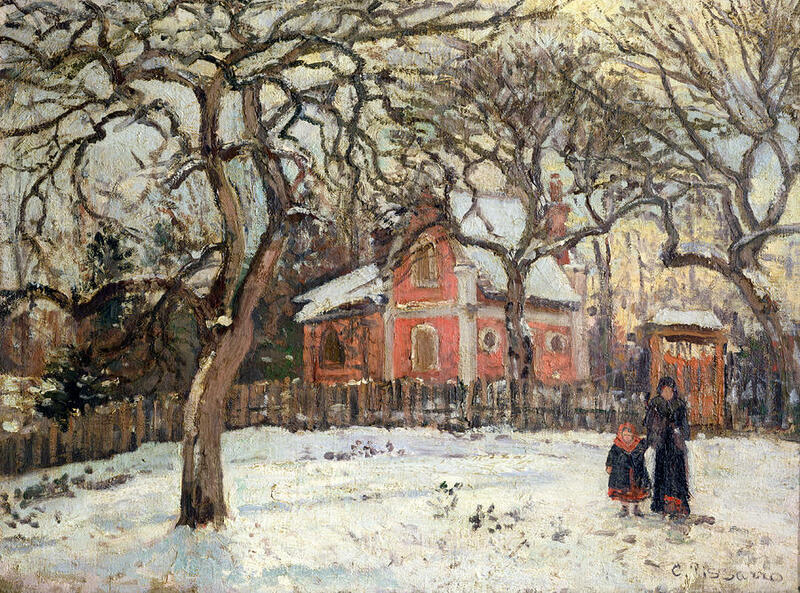 The exhibition, which featured more than 130 works in all, includes an additional 40 paintings and works on paper from the Van Gogh Museum in Amsterdam and other collections in Europe and America that also once belonged to the legendary Dr. Gachet, who was both friend and patron to the artists — Monet, Pissarro, Guillaumin, Renoir, Sisley, and above all, Cézanne and Van Gogh — whose works he collected. On view at The Metropolitan Museum of Art May 25 through August 15, 1999, Cézanne to Van Gogh: The Collection of Doctor Gachet offered a unique overview of this fascinating assemblage, including major examples of these artists' work, copies made after them by Gachet and other amateur artists in his circle, and an interesting array of souvenirs, such as artists' palettes, tubes of paint, and various props, that record Gachet's close relationship with these 19th-century masters. The exhibition also offered a detailed look not only at Dr. Gachet, but also his son and heir, Paul Gachet fils (1873-1962), who, following his father's death, kept the collection virtually hidden from sight in the family house in Auvers for more than half a century — frustrating art historians and, given the Gachets' practice of copying, raising questions about the authenticity of several key works — before donating a major portion of the collection to the French state over a period of years beginning in 1949. The exhibition was organized by The Metropolitan Museum of Art, New York, the Réunion des musées nationaux/Musée d'Orsay, Paris, and the Van Gogh Museum, Amsterdam. 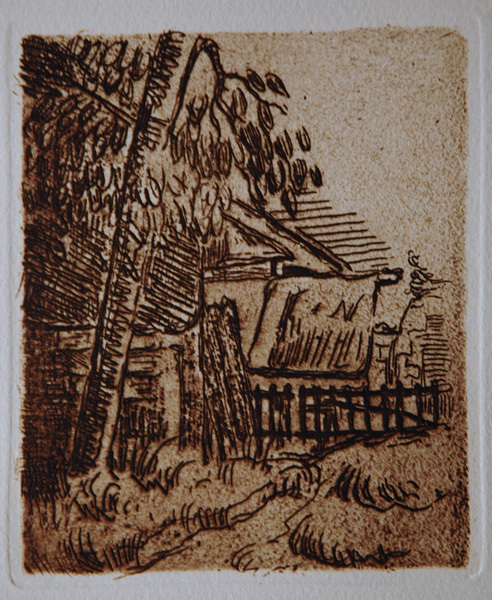 Paul-Ferdinand Gachet maintained a medical practice in Paris, however, he spent most of his time at his country house in Auvers-sur-Oise, some 20 miles from the capital, where he became acquainted with a number of Impressionist and Post-Impressionist painters who worked in the area, including C#&233;zanne, Pissarro, and Guillaumin. The house was filled with works of art, most of which were tokens of friendship and souvenirs of artistic interchange, as well as assorted antiques, a printing press, and an infamous menagerie of animals. Here, Céézanne made a series of still-lifes based on vases and other objects in the Gachet household; Pissarro, working nearby in Pontoise, painted landscape motifs drawn from the environs; and several artists — among them Amand Gautier, Norbert Goeneutte, and Van Gogh — painted portraits of Dr. Gachet. Though he was a physician by profession, Gachet — a fascinating, multifaceted, and eccentric individual — was also an artist in his own right under the pseudonym Paul van Ryssel ("Paul of Lille"), a name he adopted from the Flemish name for his hometown. His son Paul Gachet fils became an artist as well, adapting the name Louis van Ryssel. The artistic efforts of father and son extended from Dr. Gachet's avant-garde etchings and prints to the canvases they painted in an Impressionist idiom, and the copies both made after pictures that they owned by Cézanne, Pissarro, Van Gogh, and others. Cézanne to Van Gogh marked the first time since a 1954-55 Paris exhibition commemorating the gift by Paul Gachet fils that an exhibition focused on the collection and the first time ever that the Gachets' artistic endeavors have been presented alongside the work of the masters they copied. The exhibition featured nearly 60 paintings, including approximately ten works each by Cézanne, Van Gogh, and Guillaumin, with a representative selection of paintings by Pissarro, Monet, Renoir, Sisley, and the Gachets themselves. Adding further context to this presentation, the various artists' "souvenirs" — vases that appear in Cézanne's still lifes and Van Gogh's flower paintings, the white visor cap that Dr. Gachet wears in Van Gogh's celebrated oil portrait and the copper plate used for the artist's etched portrait of Dr. Gachet, as well as other related objects — were displayed adjacent to the works of art. which Dr. Gachet lent to the first Impressionist exhibition in 1874.
and Bouquet in a Small Delft Vase (1873). The Delft vase depicted was among the souvenirs on view. 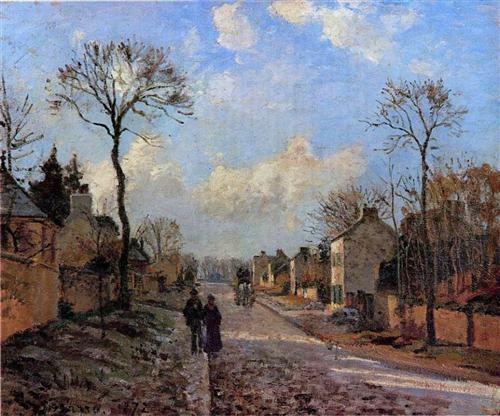 and Road at Louveciennes (1872). also caught the attention of Van Gogh when he visited Dr. Gachet's house. one of the last made before his suicide. yet both reveal Van Gogh's characteristically exuberant brushwork and brilliant palette. Among the paintings by Dr. Gachet are the still-life Apples, a copy after Cézanne's A Modern Olympia, and a copy after Pissarro's Study at Louveciennes, Snow, a work that Gachet never owned, but had borrowed from Pissarro for the purpose of copying. An indication of the degree to which Dr. Gachet's house was a vortex of artistic interchange is revealed not only in the copies that amateurs such as the Gachets made of the artists' paintings, but in the copies that the artists themselves made of each other's works. Bouquet with Yellow Dahlia (1873), which incorporates the same tablecloth and similar motifs found in a Guillaumin still-life that was also painted in Gachet's house at around the same time. is an oil copy of a Gachet etching of a Jordaens oil. Continuing this tradition, Paul Gachet fils, painting as Louis van Ryssel, was also inspired by the works in his father's collection, making oil and watercolor copies of many paintings. In other works, he adopted the style and palette of Van Gogh to paint works of his own conception, including a portrait of Van Gogh's mother, which the younger Gachet presented to Vincent's nephew (also named Vincent van Gogh) in 1905. Guillaumin au pendu (Salomon 2 ii/ii). 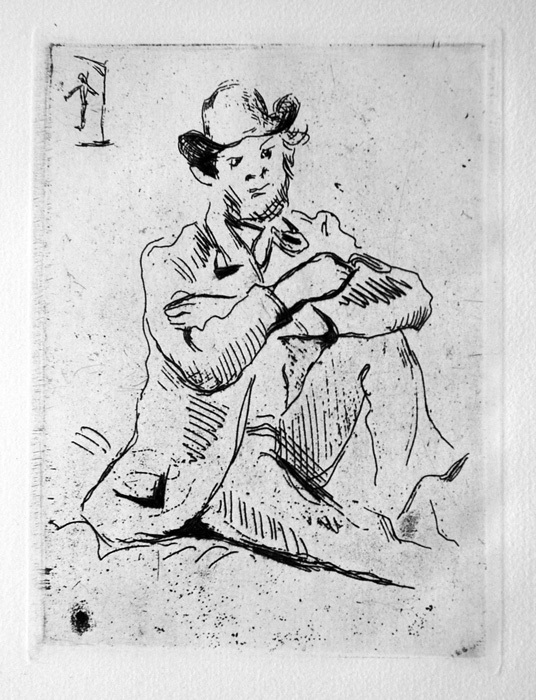 Original etching, 1873. Edition unknown (c. 1000 unsigned impressions). Paysage à Anvers (Salomon 5). Original etching printed in color, 1873. Edition: 600 impressions pulled in1914 for Homage to Cezanne. — shown in four differently colored prints in addition to the original copper plate. Another rarely exhibited treasure, Van Gogh's sketchbook from his Auvers period, was also featured in the exhibition. The watercolors on view included a selection of works copied from Van Gogh's oil paintings in the Gachet collection that were made by Blanche Derousse (1873-1911), a local seamstress, amateur artist, and friend of the Gachet family in Auvers. 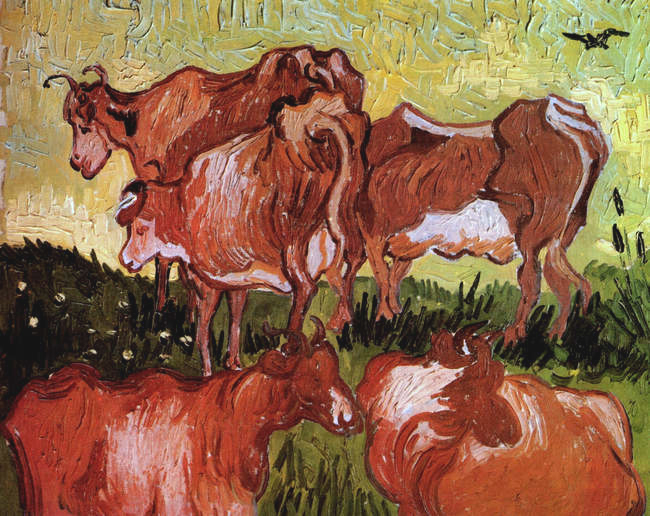 Originally intended to illustrate a never-realized catalogue of Dr. Gachet's collection of Van Gogh canvases, these intimately scaled works offered an enlightening overview of the scope and quality of the works once owned by Dr. Gachet, before they were dispersed through sales and donations made by his son. 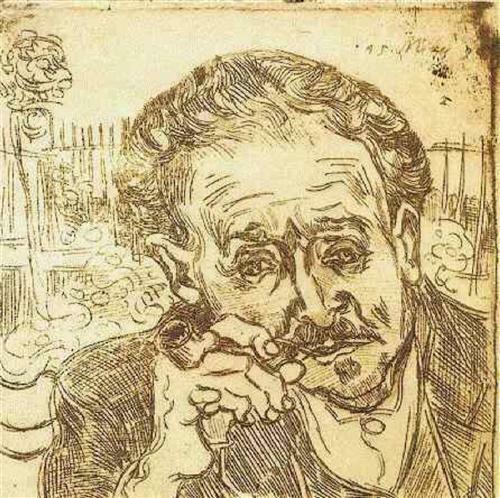 Perhaps the most poignant example in the exhibition of the bond between Dr. Gachet and Van Gogh was Gachet's charcoal portrait of the artist on his deathbed. 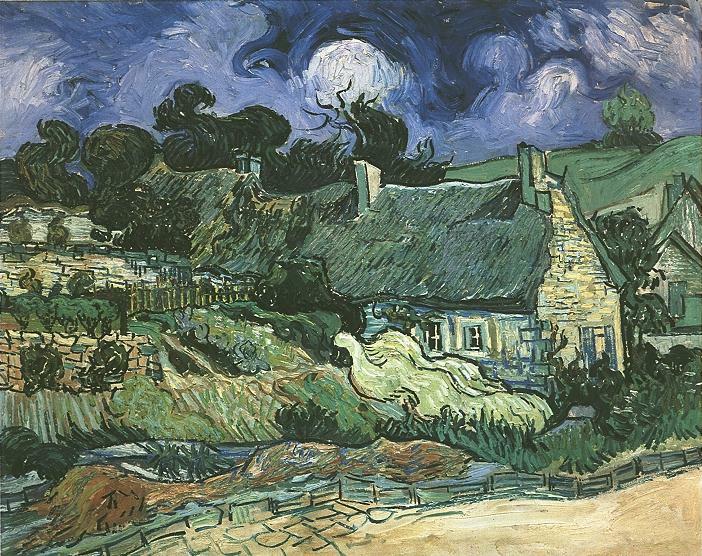 Further testament of the high esteem in which artist and doctor held one another is a letter from Vincent to his brother Theo, describing Dr. Gachet and his new surroundings in Auvers. Two letters sent by Dr. Gachet to Theo include the urgent note that Vincent had shot himself and imploring Theo to come to Auvers. The second letter, written after Vincent's death, in which Dr. Gachet characterizes the artist as a "giant" and a "philosopher" and writes of his profound appreciation for Van Gogh's paintings, had only recently been rediscovered after being lost for decades. Several photographs of the Gachet household, detailing how the collection was displayed during their lifetimes, were also on view. 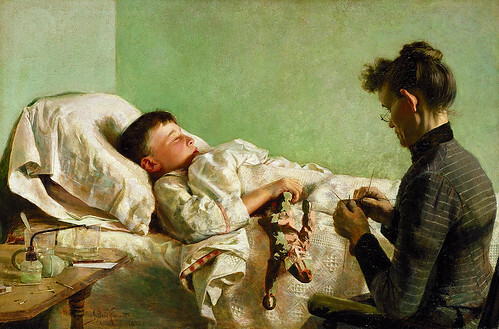 During those decades in which the works were sequestered in the Gachet house — most had never been photographed or exhibited prior to their donation — speculation swirled around the collection, the Gachets' intentions for its disposition, and the veracity of the younger Paul Gachet's accounts of the family's interaction with these now-celebrated artists. The exhibition provided a unique opportunity to compare great paintings by Cézanne and Van Gogh with copies made by the Gachets and others in their circle and to reassess, in light of new technical and documentary findings, those works — such as the Orsay version of Portrait of Dr. Gachet — that have been the subject of particular controversy. Most of the copies had never before been exhibited and visitors to the exhibition could evaluate for themselves whether either Gachet had the impetus or, more importantly, the artistic ability to convincingly fake the work of the masters. The exhibition was co-organized by Susan Alyson Stein, Associate Curator of European Paintings, The Metropolitan Museum of Art, and Anne Distel, Chief Curator, Musée d'Orsay. Andreas Blühm, Head of Exhibitions, and Sjraar van Heugten, Curator of Drawings and Prints, both of the Van Gogh Museum, are responsible for coordinating the exhibition in Amsterdam. The fully illustrated catalogue that accompanied the exhibition addresses these issues and others in historical and technical essays and entries that include a wealth of information that has newly come to light. The catalogue, published by The Metropolitan Museum of Art, also documents the contents and history of the entire Gachet collection — beyond what was donated to the French state — in essays, as well as a checklist of artists and works in the collection, a summary catalogue of approximately 150 works, and an illustrated checklist of copies. Featuring 500 illustrations, including 117 in color, the 328-page catalogue is available in both hardcover and paperback. Cézanne to Van Gogh: The Collection of Doctor Gachet premiered at the Grand Palais, Paris (January 30 through April 26, 1999), and, following the Metropolitan's presentation, was on view at the Van Gogh Museum in Amsterdam (September 24 through December 5, 1999). Organized by the Nelson-Atkins Museum of Art and culled entirely from the recently-acquired Hallmark Photographic Collection, the Developing Greatness, The Origins of American Photography exhibition on view June 9- December 30, 2007 explored the artistic and cultural importance of the first generation of American photography, from 1839 to 1885. The exhibition featured almost 300 works, from one of the earliest known daguerreotypes to one of the first hand-camera snapshots. Important sections of the exhibition are devoted to the Civil War, pioneering Western landscapes, and portraits of the era’s leading personalities. Organized chronologically and then subdivided into major themes, the exhibition took a fresh perspective on a period of great expansion and enterprise in American history. Photography was the cutting-edge imaging technology of the day, a radical new means to both record and invent the world. Photographers responded accordingly: many were dedicated documentarians, while others explored the medium’s expressive and artistic possibilities. Together, they fashioned an endlessly rich collective image of both the facts and the spirit of the age. Albert Sands Southworth, Harriet Beecher Stowe, ca. 1843, Daguerreotype, ¼ plate, The Nelson-Atkins Museum of Art, Kansas City, Missouri. Gift of Hallmark Cards, Inc.
Carleton Watkins, View from Camp Grove, Yosemite, 1861, Vintage Albumen Print, 15-¼ x 20-¾", The Nelson-Atkins Museum of Art, Kansas City, Missouri. Gift of Hallmark Cards, Inc., P5.406.002.05. Unknown Maker, Clown, ca. 1855. Daguerreotype, 1/6 plate, The Nelson-Atkins Museum of Art, Kansas City, Missouri, Gift of Hallmark Cards, Inc.
Charles Fredricks, Fredrick’s Photographic Temple of Art, 1857, Salt Print, 16-1/8 x 13-¾ inches, The Nelson-Atkins Museum of Art, Kansas City, Missouri, Gift of Hallmark Cards, Inc., P5.390.001.95. J. D. Edwards, Steamships at Cotton Wharf, New Orleans, detail, ca. 1858, Salt Print, 5-¼ x 7-7/8", The Nelson-Atkins Museum of Art, Kansas City, Missouri. Gift of Hallmark Cards, Inc. The exhibition’s earliest works, from the first months of photography’s development, in 1839-40, reflected the uncertain excitement of discovery. As the technology swiftly advanced, these pioneers went on to capture the diversity of America’s people, cities, and landscapes. Portrait photography became common around 1843, as studios opened in the major cities and self-taught entrepreneurs traveled the nation’s back roads. The result was an unparalleled vision of the nation’s people, from its richest citizens to the working class. Outside the studio, Americans made landscape photographs for the purposes of both art and science, from the White Mountains of New England to the Yosemite valley in California, and as far afield as Egypt and the Arctic. The Civil War of 1861-65 was recorded in truly unprecedented detail — from portraits of the soldiers themselves, to graphic images of the bloody battlefields of Antietam and Gettysburg. Timothy O’Sullivan, Home of a Rebel Sharpshooter at the Battle of Gettysburg, detail, 1863. Albumen Print, 6-¾ x 8-7/5", The Nelson-Atkins Museum of Art, Kansas City, Missouri. Gift of Hallmark Cards, Inc.
Timothy O’Sullivan, American (1842-1882). Cottonwood Lake, Wasatch Mountains, Utah, 1869. Albumen print. Gift of Hallmark Cards, Inc., 2005.27.3280.
worked with official government survey projects to bring back images of the unexplored territories of the West. The exhibition explored American places, events, and ideas, as well as the diversity of the American people. Race, gender, occupation and social status are a few of the focal points of the extensive collection of portraits — seen in the form of both daguerreotypes and paper photographs. Beginning in the mid-1850s, paper photography reduced the cost of images, further democratizing the process. Photographers captured ordinary men and women in the studio, and at home, and at work. Many aspects of nineteenth-century popular culture — such as phrenology, spirit photography, and the tradition of making portraits of the deceased — are touched on in the exhibition. The camera played a key role in the rise of mass modern communication and the cult of celebrity. In the early 1850s, daguerreotypes were made of dramatic and newsworthy events, and then often reproduced in the nation’s illustrated papers. By 1860, inexpensive paper photographs were being produced in volume for a mass public: portraits of celebrities, public events, and scenic views. The exhibition included pictures of many notable figures of the day, from Harriet Beecher Stowe, Jenny Lind, and Frederick Douglass, to Tom Thumb, General William T. Sherman, and Abraham Lincoln. Also well represented were 3-D stereographic images. While these relatively small images have received little attention as works of art, they were some of the most popular and widely circulated images of the period. The parlor stereoviewer was, in essence, the television of its day — a means of bringing virtual images of the larger world into the living room. The Origins of American Photography: From Daguerreotype to Dry-Plate, 1839–1885, written by Keith F. Davis for the Hallmark Foundation and designed by Malcolm Grear Designers accompanied the exhibition titled Developing Greatness: The Origins of American Photography, 1839–1885 organized by The Nelson-Atkins Museum of Art and culled entirely from its recently acquired Hallmark Photographic Collection. 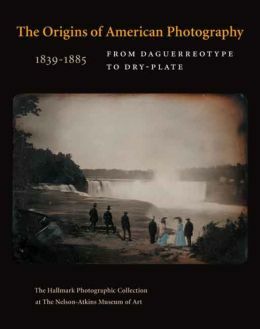 With over six hundred tritone and color illustrations, many never before published, this three hundred and sixty page book was designed to be the definitive guide on early American photography, from the earliest known American daguerreotypes to the introduction of dry-plate photography printed on paper. The 1930s: The Making of "The New Man"